Workers from colonies of Cape honeybees show marked phenotypic differences in performance in proboscis extension reflex (PER) conditioning. Analysis of these differences using parthenogenetic offspring groups permitted the estimation of genotypic values and revealed a high degree of genetic variability that is evident among related as well as unrelated bees. The results obtained from related groups are of particular importance, since they demonstrated the existence of strong genetic variability among individuals of the same colony. Quantitative analysis yielded high estimates of additive genetic effects and low estimates of dominance effects. Selection of individual workers resulted in an explicit increase in genetic variance of the next generation (G1). However, selection of bees from the parthenogenetic G1 generation, which was done to obtain parthenogenetic G2 offspring, did not lead to further improvement in selection. This observation suggests that recombination of linked genes underlying proboscis extension reflex was neglible during selection in parthenogenetic groups. 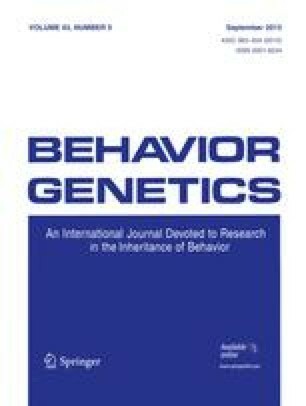 Taken together with further behavioral analysis (Brandes and Menzel, 1990; Brandes et al., 1988), results from these quantitative genetic experiments suggest that additive genetic factors contribute significantly to variability among individuals for associative learning. This work was supported by a fellowship from the Deutsche Forschnungsgemmeinschaft (Br 827/1, Br 827/2).